The only thing worse than having Donald Trump gallivanting off to his luxurious golf resorts every weekend is having him in the White House doing more harm to the country. He has already spent about thirty-one percent of his presidency (175 days) at Trump owned properties like Mar-A-Lago. It’s an unprecedented negligence of duty for the alleged Commander-in-Chief, but a welcome relief to the nation and, most likely, the long-suffering staff at the White House. Now if we could just get him to stop tweeting as well. Why isn't President Obama working instead of campaigning for Hillary Clinton? So what he’s saying is that he’s going to take a leave of absence from the presidency to become a full-time campaign shill. This isn’t really new. Last December his people said that he intends to spend more time campaigning. But this does present some problems. Does he think the country will just wait around for two months until he’s through politicking and returns to the Oval Office to see if he has any messages? Will Vlad know where to reach him? And when, for the love of God, will he have time for golf? Why he needs to take these measures is puzzling. His rallies to date have been carbon copies of each other where he does and says virtually the same thing every time. It’s just like his Twitter endorsements of GOP hopefuls that are veritable robo-tweets on behalf of interchangeable Stepford Republicans. 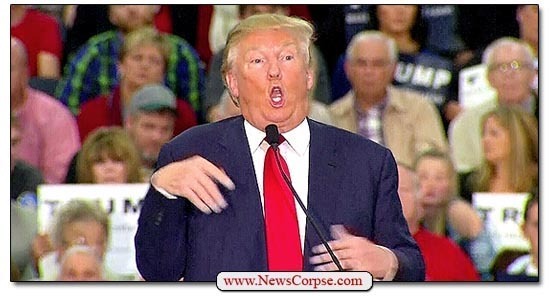 And for the most part, he’ll talk more about himself than the the candidate he’s suppoedly there to support. But he will play all the hits (“Crooked Hillary, Build the Wall,” and the epic “Witch Hunt”) while castigating the ever-present media as “the enemy of the people.” These affairs are so mindlessly repetitive that they could be performed with a mannequin and tape loops. And his glassy-eyed disciples wouldn’t know the difference. However, at least the country will know where he is and that he won’t be able to do as much damage as he would while playing president and barking orders from the big chair in the Oval Office. And he won’t be cozying up to foreign dictators and selling out the country to our enemies. Of course, he could still relay messages to them from the stump, and they would be listening while waging another cyber war against America during an election. So we’ll have to alert wherever he is. Because we know that Trump and his lackeys won’t be. The Huffington Post just published an article by Yashar Ali that explored the reasons behind Kimberly Guilfoyle’s surprise departure from Fox News. Donald Trump Jr’s lover was criticized for trying to hang on to her Fox gig while shacking up with the President’s recently divorced son. How could she, folks wondered, comment on Trump without bias under these circumstance? So of the five co-hosts of the creatively-named The Five (which airs at 5:00pm ET), three had second shows and one (Guilfoyle) did not. The fifth is Juan Williams. 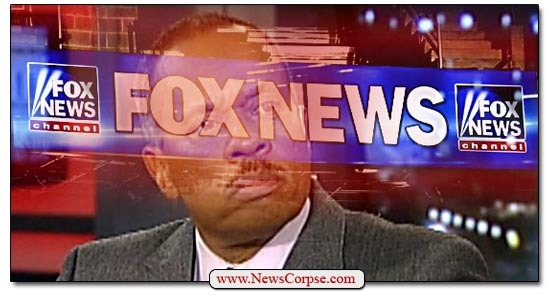 Since 1997 Williams has been the beleagured African-American, Fox-style liberal at Fox News, walking the tight rope of sheepishly representing the Democratic ideology while staying in the good graces of Fox’s conservative hierarchy. For more than twenty years Williams has been a loyal employee who often defended Fox News when they were criticized for their obvious right-wing bias. He would make himself available for appearance on other Fox shows to take abuse from the conservatives who always outnumbered him. During his time at the network, many commentators who joined after him were rewarded with their own shows. Everyone from Gretchen Carlson and Jesse Watters to Laura Ingraham and Tucker Carlson, and many more. They all have two things in common that Williams lacks: They are rabidly conservative and they are white. So despite having more seniority and more experience, Williams was passed over repeatedly by his right-wing, Caucasian peers. It might be easy to explain Fox’s unwillingness to promote Williams as due to his politics. Fox has never had solo liberal host in it’s twenty-two year history. And as co-hosts and panelists liberals have always been outnumbered by conservatives. So his politics surely had something to do with his stagnant career. But for a network that is overwhelming dominated by white commentators and hosts it’s hard to dismiss the likelihood that race also played a profound role in the failure of Williams to land his own program. The question is: Why does Williams stick around when it’s so obvious that Fox is discriminating against him both politically and racially? If he had any self-respect he would quit and issue a sharp rebuke of the network for it’s biases. But he is either addicted to the money, or he is so weak-livered that he can’t stand up for himself or the principles of equality. I think the former is part of the reason for his tolerance of this workplace abuse, but the latter is probably more responsible for it. That weakness is evident in his mushy advocacy of Democratic positions, which he will support only up until the point where he feels like he’s trampling on his wingnut colleagues. He almost always comes short of the sort of powerful argument that a real liberal would present. As a result, Williams will always come short as a commentator who will never advance to a host as he watches other lesser Foxies leap frog him to greater success. Fox News will keep around because he fulfills their need for an African-American leftie. But they are keeping him around only for show and to persist with the lie of fairness and balance. Williams will stay because he’s a wimpy slave to the Fox plantation that allows him to hang out in the big house with his masters.